On June 13th, 2014 President Obama, accompanied by First Lady Michelle Obama, made his first Presidential visit to Indian Country when he visited the Standing Rock Indian Reservation in North Dakota. While they were there, they met with six youth from the Reservation for a roundtable discussion and attended the Cannon Ball Flag Day Celebration. During the roundtable, the President and the First Lady invited the Standing Rock youth to visit them in D.C. Watch highlights of the trip here! At the White House Tribal Nations Conference on December 3rd President Obama announced the launch of the Generation Indigenous Initiative (Gen I). The program includes the National Native Youth Network, a program in partnership with the Center for Native American youth The Youth network, of which this website is a part, will support leadership development, provide peer support through an interactive online portal that links resources and tools, and empowers youth to become leaders within their communities. 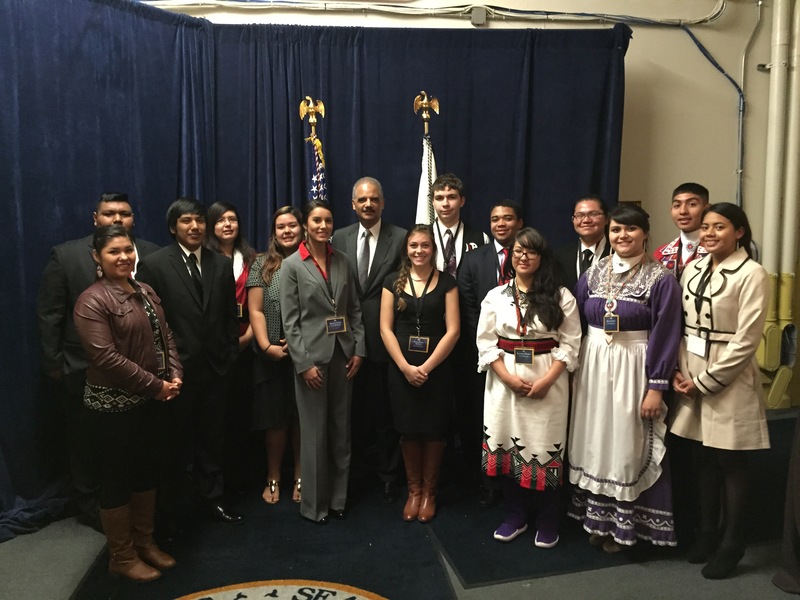 The White House, in cooperation with the Aspen Institute, will also host a high-level convening on challenges facing Native youth in February 2015. Watch the President’s full speech here! The 2014 Tribal Nations Conference also welcomed the very first ever class of Gen I Youth Ambassadors! Thirty seven inspiring young Native people from across the country traveled to DC to attend the Conference and participate in a range of exciting activities, including a screening of MTV’s Rebel Music production: Native America, learning about the opportunities available to them through the federal government, and meeting Vice President Joe Biden and Attorney General Eric Holder! Two of the Youth Ambassadors were featured in an MTV video about their experiences which can be viewed here!